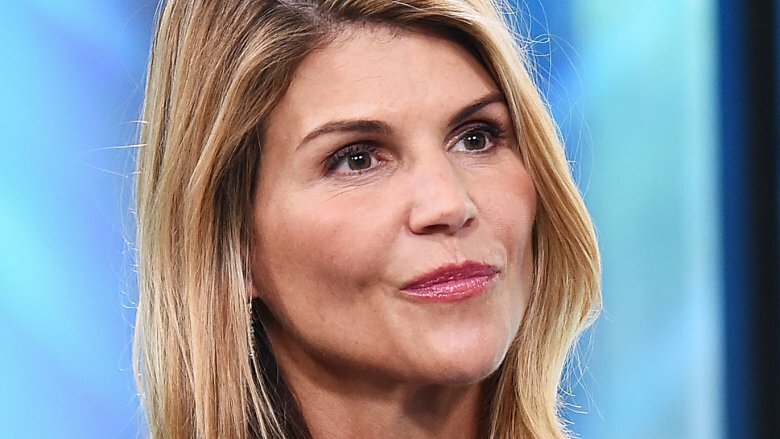 Actress Lori Loughlin's daughters have found their academic careers at a standstill due to their parents' alleged involvement in the ongoing celebrity college admissions scandal. According to an Us Weekly exclusive, published on Monday, April 8, 2019, Isabella Rose and Olivia Jade Giannulli will not be allowed to withdraw from their respective courses at the University of Southern California as it conducts an investigation into the bribery allegations. "USC has placed holds on the accounts of students who may be associated with the alleged admissions scheme," the college released in a statement obtained by the magazine. "This prevents the students from registering for classes (until they have agreed to participate in the review of their case), withdrawing from the university, or acquiring transcripts while their cases are under review." The college continued, "Among many factors investigators could consider in reviewing each case are any developments in the criminal cases, including plea deals by parents. Following these case-by-case reviews, we will take the proper action related to each student's status, up to revoking admission or expulsion." As Nicki Swift previously reported, Loughlin, 54, and clothing designer husband, Mossimo Giannulli, 55, allegedly paid $500,000 for Isabella Rose, 20, and Olivia Jade, 19, to be accepted at USC as crew team recruits. When news of this nationwide scam first broke in mid-March 2019, the celeb pairing were among roughly 30 other parents accused of bribing their children's ways into elite schools. Prior to Us Weekly's recent report, TMZ had gotten word that both daughters had decided to drop out of school in the fallout of the scandal. In addition to facing severe social media backlash and losing out on major brand deals and gigs, Loughlin was charged with felonies for conspiracy to commit mail fraud and honest services mail fraud. After appearing in federal court in Boston, Mass. on April 3, it became apparent that the Full House star would most likely receive jail time regardless of a potential plea deal or fame. The actress, who's best known for her run as Aunt Becky on the '90s sitcom and its Netflix reboot, made headlines at the time after happily signing autographs for fans and telling the press, "I'm great!" while heading into the court house. Loughlin and Giannulli initially faced up to 20 years in prison. However, they reportedly rejected a plea deal earlier this week, which would have most likely led to an 18-24 month sentence, according to People. The following day, they were both indicted with an additional money laundering charge, CNN reports. Each charge now carries a maximum sentence of 20 years behind bars. 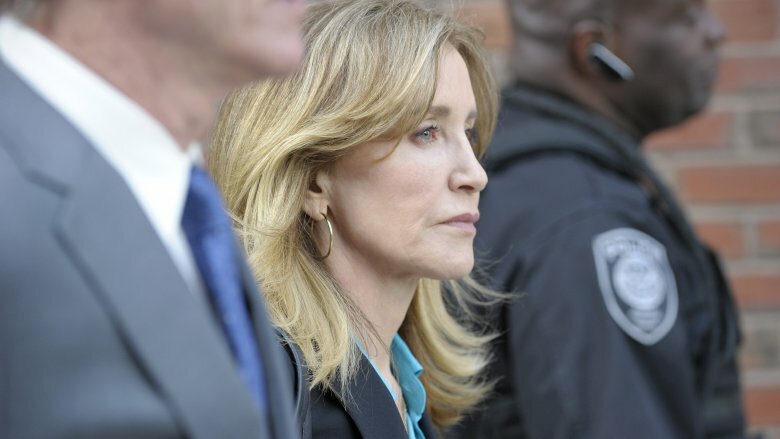 Also famously implicated in the college admissions scheme is former Desperate Housewives star Felicity Huffman. The 56-year-old actress and her husband, Shameless star William H. Macy, have been accused of paying an exam proctor $15,000 to correct answers on their 18-year-old daughter Sofia Grace's SAT. Similarly to Loughlin, Huffman was charged with felonies for conspiracy to commit mail fraud and honest services mail fraud. Unlike Loughlin, however, Huffman appeared somber ahead of her court appearance last week and has since entered a guilty plea along with a dozen other parents indicted in the scandal (via CNN). In a lengthy statement released on Monday, April 8, she said, "I am pleading guilty to the charge brought against me by the United States Attorney's Office. I am in full acceptance of my guilt, and with deep regret and shame over what I have done, I accept full responsibility for my actions and will accept the consequences that stem from those actions." Huffman's statement continued, "I am ashamed of the pain I have caused my daughter, my family, my friends, my colleagues and the educational community. I want to apologize to them and, especially, I want to apologize to the students who work hard every day to get into college, and to their parents who make tremendous sacrifices to support their children and do so honestly." She added, "My daughter knew absolutely nothing about my actions, and in my misguided and profoundly wrong way, I have betrayed her. This transgression toward her and the public I will carry for the rest of my life. My desire to help my daughter is no excuse to break the law or engage in dishonesty." Following her guilty plea and public showing of remorse, it's unclear how much prison time Huffman may face. However, Page Six reports that she will most likely receive a sentence of four to 10 months behind bars, along with serving one-year of supervised release and paying restitution and a $20,000 fine.